Guy’s and St Thomas’ Private Healthcare offers private patients exceptional care in a safe, trusted and comfortable environment - all within sight of iconic London landmarks. 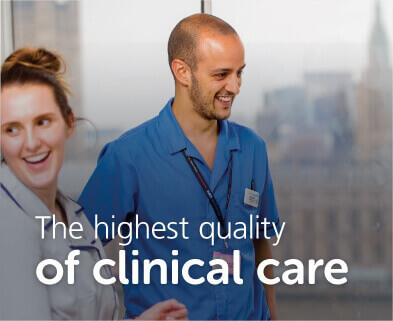 As leading UK teaching hospitals, we provide high quality clinical care, from birth through to every stage of life. Whatever your treatment, you’ll be cared for by world-class consultants, safe in the knowledge that you have the backup of a full range of hospital services. Our Burrell Street Sexual Health Centre, one of the largest and most comprehensive sexual health services in London, offers many services privately that are not funded by the NHS. This includes Gardasil, HIV testing and pre-IVF testing. Gardasil 9, a new formulation that protects against nine wart types (giving extended immunity) is £520. The centre is conveniently located near Southwark tube and is open seven days a week.